Celebrity Cruises has partnered with Bravo and their Emmy® Award-winning television show Top Chef to bring you the tantalizing Top Chef at Sea experience (available on most sailings excluding 4 nights cruises & Galapagos). Participate in interactive Quickfire Challenges that put you in the spotlight —just like the cheftestants on the show. 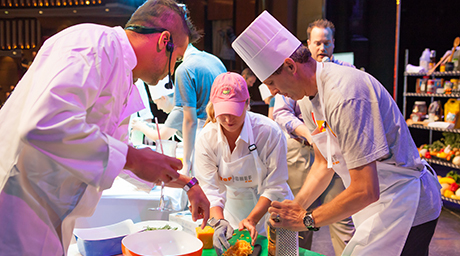 Compete against your fellow guests in a series of challenges, including cooking a full entrée alongside one of Celebrity's chefs, that will test your culinary skills and thrill your inner cheftestant. Whether or not you are up to the challenge to participate in the Quickfire Challenges or not, you'll also enjoy a special evening culinary treat during your cruise. Top Chef Night in the main restaurant treats you to dishes conceived by popular cheftestants from the show. You'll be in foodie heaven from appetizer to dessert. If you have a passion for food, wine, and spirits-Celebrity Cruises has a menu of activities you're sure to love. 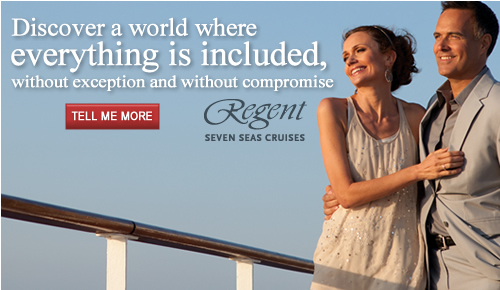 Experience just how robust life at sea can be. 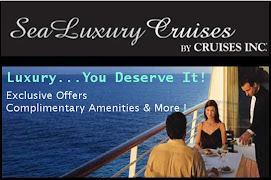 For more information about the other sumptuous CelebrityLifeSM culinary activities that await you during your cruise check here. A culinary delight can be yours on Celebrity Cruises. Ask me about our exclusive offers. Forecasters at the Colorado State University are predicting that the 2017 Atlantic basin hurricane season will have slightly below-average activity. The season begins June 1st and continues through November 30th. Their current (April 6th) forecast predicts below-average probability for major hurricanes making landfall along the United States coastline and in the Caribbean. NOAA won't even make their first prediction until the end of May. So, why does Colorado State University's team of scientists create this forecast? Mainly because the public is curious about predictions based on the current global oceanic and atmospheric conditions. The forecasting team created their predictions using a statistical model based on 29 years worth of data. 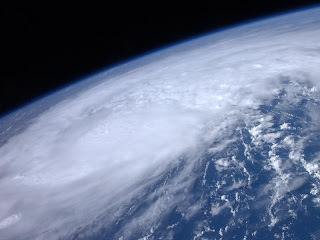 This is the 34th year in which the CSU Tropical Meteorology Project has made forecasts of the upcoming season’s Atlantic basin hurricane activity. According to CSU scientists, "The current neutral ENSO is likely to transition to either weak or moderate El Niño conditions by the peak of the Atlantic hurricane season. The tropical Atlantic has anomalously cooled over the past month and the far North Atlantic is relatively cold, potentially indicative of a negative phase of the Atlantic Multi-Decadal Oscillation. " The April forecast calls for 11 named tropical storms with 4 strengthening to hurricane status. Of those hurricanes, 2 are predicted to be a major hurricane (Category 3,4, or 5). The team forecasts a 42% chance of one major hurricane making landfall on the U.S. coastline (compared to 52% for last century), 24% for U.S. East Coast Including Peninsula Florida (average for last century is 31%), 24% for Gulf Coast from the Florida Panhandle westward to Brownsville (average for last century is 30%) and a 40% chance for the Caribbean (compared to 42% average for last century). 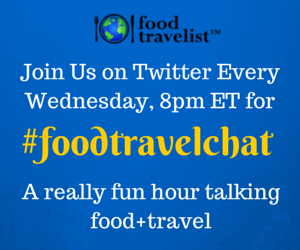 This week Twitter chat #FoodTravelChat, which I help moderate, is discussing "Purposeful Food & Travel". Each Wednesday evening at 7 PM Eastern, a group of like-minded people get together to chat about food and travel, two of my favorite topics. 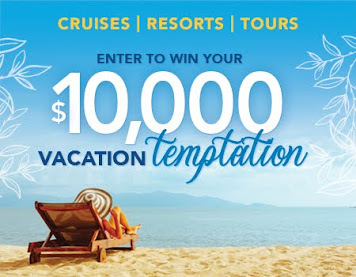 The 2016 Cruises Inc., CruiseOne and Dream Vacations National Conference aboard Carnival Vista immediately came to mind when learning of the theme for this week. 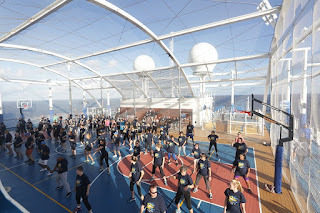 Obviously one purpose of the travel was to experience the brand new Carnival Vista so that we could share insider information with our guests. We also learned about industry trends, challenges, and upcoming changes with each of our travel partners. General Manager of Network Engagement & Performance, Drew Daly, presented “One Day I Will,” at the closing General Session. He spoke about how agents have the ability to change their customers’ lives by encouraging them to live for today. The presentation reflected on the positive impact a dream vacation has on one’s life – both personally and professionally. 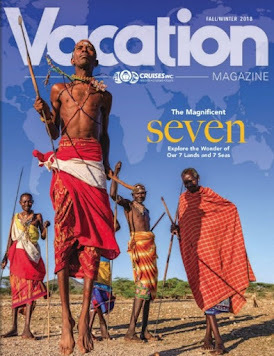 Armed with all the information from fellow travel professionals and industry leaders, we certainly felt we had plenty to offer our guests plan memorable vacations, but that was really only the beginning of our purposeful travel. 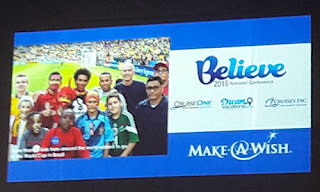 In addition to changing our customer’s lives, Cruises Inc., CruiseOne and Dream Vacations agents are changing the lives of children with life-threatening medical conditions through Make-A-Wish, the signature charity of parent company World Travel Holdings. Fundraising is a core component of National Conference every year when franchisees, agents, staff and suppliers all come together through a variety of fundraising activities such as guessing next year’s conference date, silent auctions, the fourth annual “Zumba@Sea – Dance For Wishes” and exclusive access to the Skyride and sports deck. Each year we strive to beat the previous year's total, so the goal was set at $75,000 for the week long event. 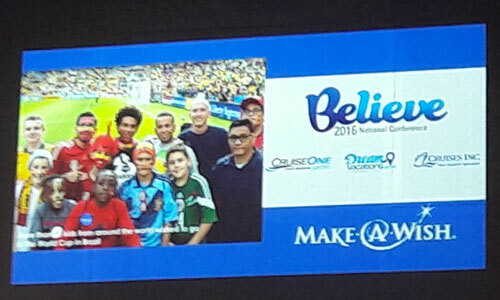 We not only met that goal, but exceeded it with a grand total raised during the conference of $100,000. That amount will help grant 20 wishes. It is so rewarding to add a purpose to your travel. I truly believe that by doing so you get so much more back in return. 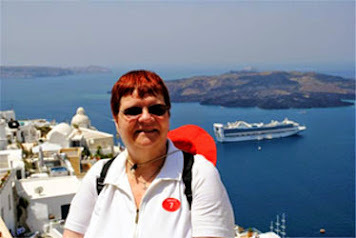 When on a cruise, check the daily program for ways that you can participate and turn your trip into Purposeful Travel. Friends of the Earth’s annual Cruise Report Card compares the environmental footprint of 17 major cruise lines and 171 cruise ships. View a PDF of the latest annual report card here. Disney Cruise Lines was the sole cruise line this year to earn an “A” for transparency by responding to information requests. Every other line, like the year before, refused to confirm its current environmental technologies, resulting in failing grades for transparency. Read the press release. For those that are interested in doing your part (click the following links): See #EarthDayEveryDay on EPA website. Learn more about the FOE. 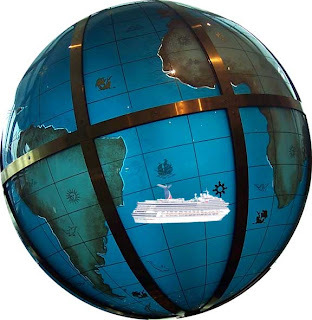 You be the judge - read about the various cruise lines' environmental initiatives. Also form your own opinion while on your next cruise vacation. 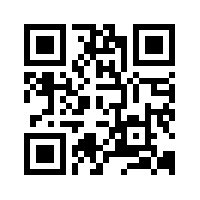 We'd love to hear your feedback. Together we can have a Happy Earth Day. Special thanks to the EPA and FOE for their efforts and for publishing the information which was the basis of this article. 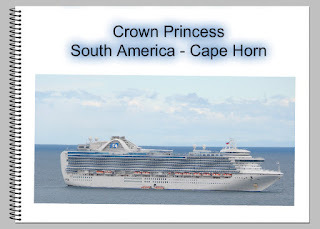 Here are links to the major contemporary cruise lines. 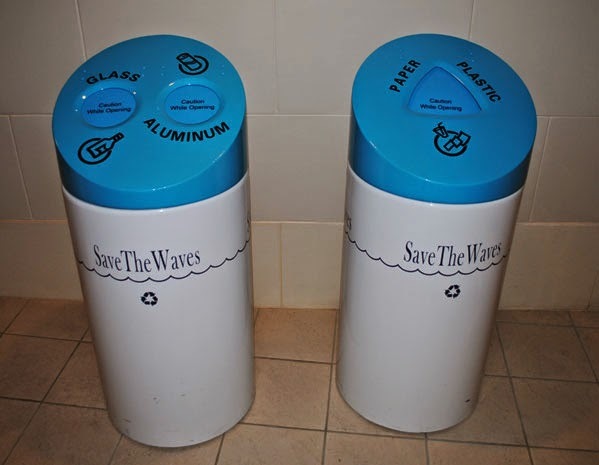 Search out your favorite cruise lines' environmental initiatives documentation. If you don't find it, ask them why they aren't being transparent. 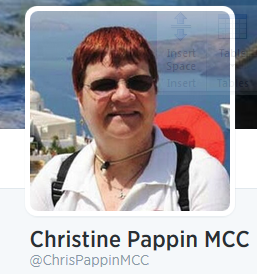 If you have followed our blog, you know that we began our love for cruising and the oceans over 30 years ago. That love turned into a profession, which we share with all of you. 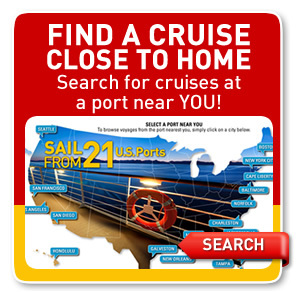 We are sharing this information as a wake up call to ourselves, and everyone that enjoys cruising and the destinations we visit. 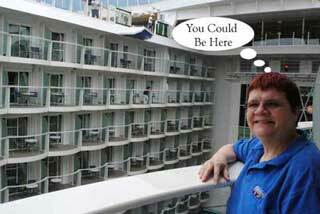 Let's encourage the cruise line executives and those who travel to protect the future. Rhodochrosite is a manganese carbonate mineral with chemical composition MnCO3. In its (rare) pure form, it is typically a rose-red color, but impure specimens can be shades of pink to pale brown. 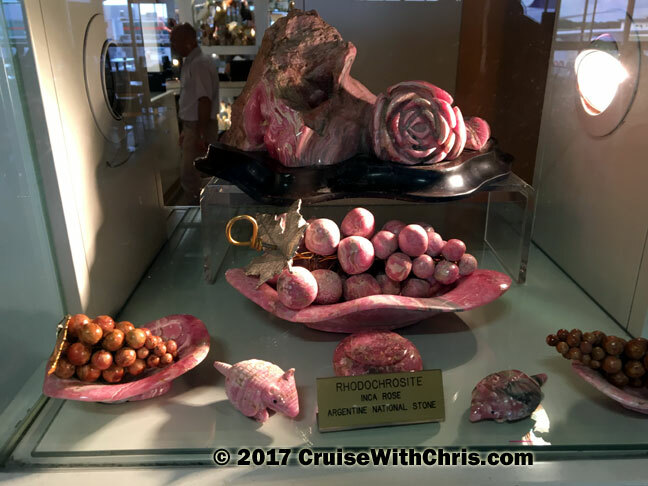 Rhodochrosite is Argentina's "national gemstone". 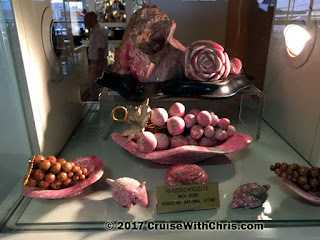 Famed for its banding, ranging from light pink to bright red, Argentinian Rhodochrosite is a truly unique gemstone. In ideal specimens of this stone, the banding crosses the surface of the stone in a zigzag pattern, with a sharp contrast between colors. Throughout our trip in South America we saw several merchants selling the local semi-precious gem. 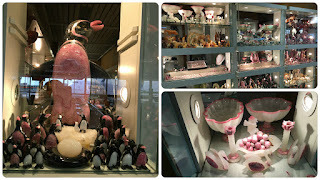 These images were taken at Buenos Aires International Airport while waiting for our return flight. 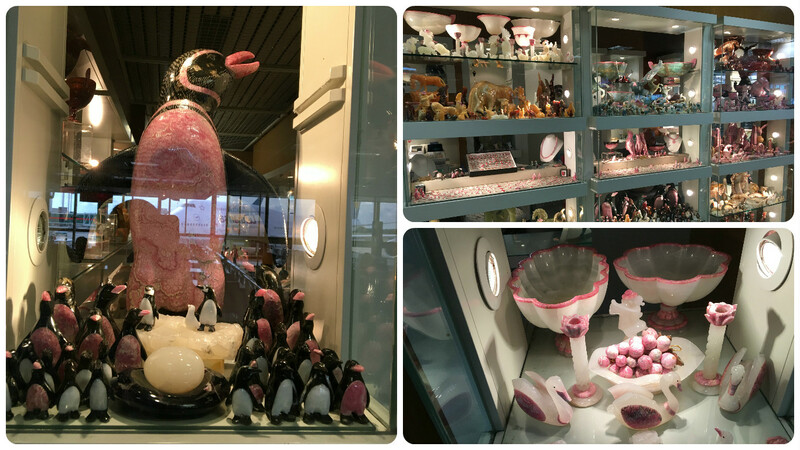 As you can see the gem can be carved into many shapes, including my favorite (you guessed it) - Penguin. As with any gem, expect to pay a premium based on the quality of the stone used for the setting. A decent grade stone used in an earring will cost around $125 US at most jewelers. If you are looking for something special for yourself or a gift, you'll want to check these gems out during your visit.